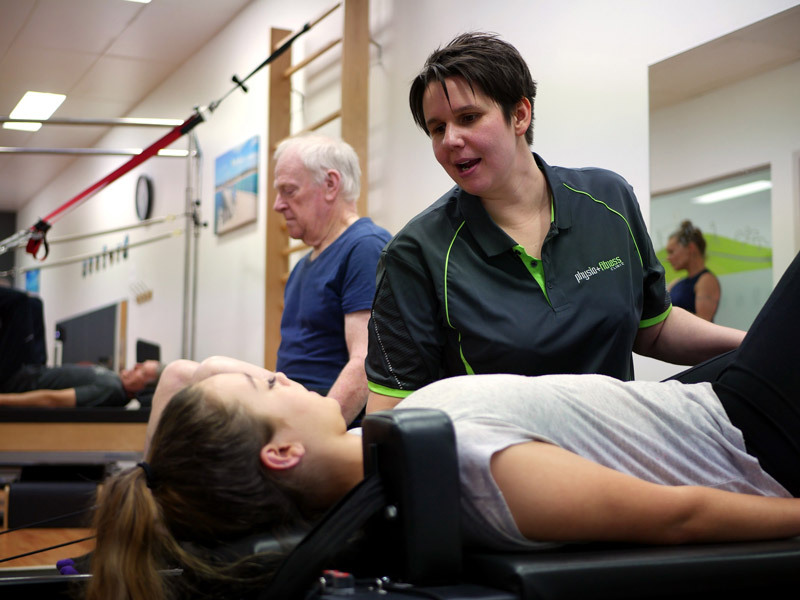 Group Physiotherapy (formerly referred to as Clinical Pilates) is run by our Physiotherapists with a maximum number of 5 participants to ensure get the best of care for your body. To attend these sessions, we require a forty minute Start- Up Assessment so we can best understand your body, including any injuries that may be affecting you. This service may be claimable through your private health insurance. Fitness Pilates is run by our experienced Pilates Instructor Georgia Mahar, with a maximum of five people per class. Georgia will individualise your program around your goals. You will not be required to complete an assessment prior to these classes, so these classes are best suited to people without current injury. Fitness Pilates is unable to be claimed through private health. 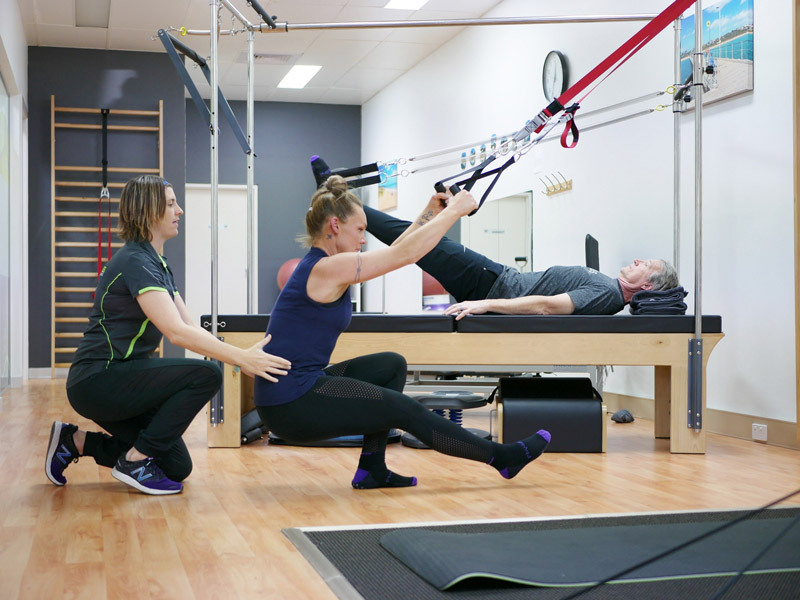 Group Physiotherapy and Fitness Pilates is a safe, effective and specific class ideal for strengthening and increasing flexibility and is suitable for all fitness and injury levels. At Physio + Fitness Clinic, we tailor our exercises according to your personal physical ability, bearing in mind any problematic areas you may have. With a maximum of only five participants, you can rest assured that only correct and safe techniques will be performed. call 9786 6642 or book online!